TEHRAN (IRNA) — The heads of the security bodies of Iran and Uzbekistan stressed the need to support Afghanistan and other countries of the region in the fight against terrorism. Expressing concern over the growing activity of the terrorist group ISIS in Afghanistan and Central Asia, Secretary of the Supreme National Security Council of Iran Ali Shamkhani said that his country is ready to share its successful experience of fighting terrorism with other countries in the region, IRNA reports. 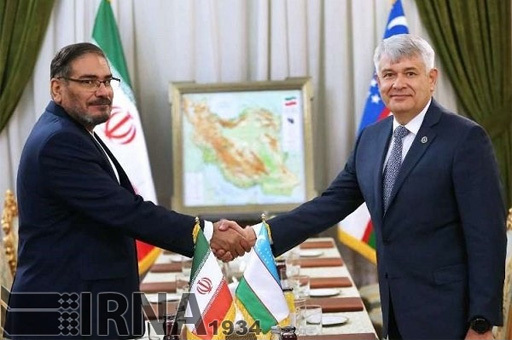 At a meeting with his Uzbek counterpart in Tehran, he noted that Iran also wishes to intensify bilateral cooperation with Uzbekistan in the political, military and economic spheres. Iran and Uzbekistan can contribute to the security and economic situation in Afghanistan through joint efforts, intensification of cooperation and support of the government of national unity. The Uzbek official Viktor Mahmudov, for his part, stressed the need to take serious regional measures to support the government of Afghanistan. Both sides also called for greater use of economic, transit, energy and security opportunities and stressed that these relations will not be affected by the actions of a third party.